After months of riding the bus, calling ride services, enlisting work mates, friends, or your spouse as designated drivers, it’s finally time to get your suspended or revoked Arizona driver’s license reinstated. Suspending a driver’s license is an administrative per se procedure that specifies the steps necessary to reissue a license after a 90-day suspension or a 1-year revocation. Also, it may be possible to get a restricted license after serving the suspension’s first 30 days of no-driving at all. The restricted license allows you to drive to work, school, or to meet with a probation officer. To be eligible for a restricted license in Phoenix, AZ you will need proof of completing alcohol and drug education that were part of your DUI sentencing requirements. Your license may have been confiscated by Phoenix law enforcement when you were stopped because you refused to submit to a field sobriety test. If blood test results became available after the traffic stop a notice of your license suspension will come in the mail. Law enforcement by law has two choices about what they can do with your confiscated license at the traffic stop. The can destroy it or send it to the Arizona Motor Vehicles Department within five days of the notice of suspension. A driver’s license may be suspended for 90 days if you were convicted for a first time of driving under the influence of alcohol, reckless driving without causing a serious or fatal injury to someone, or failing to appear in court on an appointed time and day. License revocation happens if you’re convicted of driving under the influence while having a previous DUI conviction within seven years, leaving the scene of a collision, lying to the Arizona Motor Vehicle Division, stealing a vehicle, or committing any other felony involving a car or truck. It’s imperative that you don’t drive without a valid license in Phoenix, AZ. Driving on a suspended or revoked license is a class one misdemeanor and punishable up to 6 months in jail and $2500 in fines. If you are convicted of a DUI while having your license suspended it is a felony. The presumptive sentence is 2.5 years. However, if convicted and sentenced to probation you must serve 4 months in prison. A felony conviction also means you won’t be able to vote, own or possess a firearm, and you may lose your job and your career, make it hard to find other employment, and can prevent you continuing your education. Colleges can deny felons the ability to take classes. Arizona Revised Statute § 28-1385 (C)(6) provides the right to apply for a license if you’ve completed the alcohol or drug screening, but a number of other caveats apply. For example, you cannot have had a previous license suspension in the 84 months before the current suspension. After the 90 days or one year of suspension has ended and you have successfully completed the alcohol and drug education and screening you may go to the nearest Motor Vehicle Department (MVD) facility to request a license reinstatement or you can go to its online site and complete the necessary forms, which includes providing proof of insurance. If you had a second or third DUI conviction in Phoenix, AZ and your license was revoked, the reinstatement process is more complicated. The MVD needs to review its records and any other evidence to ensure that you have not had any traffic violations during the revocation period and that the other statutory requirements are met. The MVD has an investigation packet that you’ll need to request. You’ll also need a recent evaluation from a physician, psychologist or a certified substance abuse counselor to ensure you are capable to drive. You also must file with the MVD an SR-22 certificate, which is liability insurance for high risk policies. The fee for reinstating a revoked license is $20 plus an application fee. In addition to getting your license restored it may be possible to have your conviction set aside although it’s technically not removed your DUI conviction won’t show up in most background checks such as those performed on behalf of employers, creditors and others. A more thorough background check can find the court record but it tells the inquiring party that the case was dismissed and you don’t have to report that you were convicted. To qualify you must have met all of your sentencing provisions in Phoenix, AZ including fines and fees, be able to document them, and since your conviction you have not had any more trouble with the law. A Superior Court judge will determine if your record will be set aside based on these and a number of other factors. The Maricopa County Superior Court handles requests for convictions to be set aside and there’s paperwork involved. It’s best to have a DUI defense attorney help you with this to ensure that all the necessary documentation and the request are performed without error. Reinstating your driver’s license is a crucial step in your future. It’s important to have an experienced criminal defense attorney at your side to guide you through the process and ensure your rights. The courts are sticklers for complete, error free paperwork. 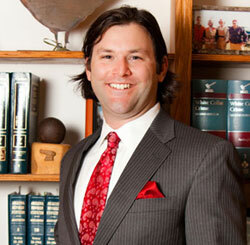 As a DUI defense attorney I have helped a number of people navigate successfully through the system. Contact the Law Office of Aaron Black to learn more about your rights in this area of law by meeting with me to discuss your situation and your options or call 480-729-1683.